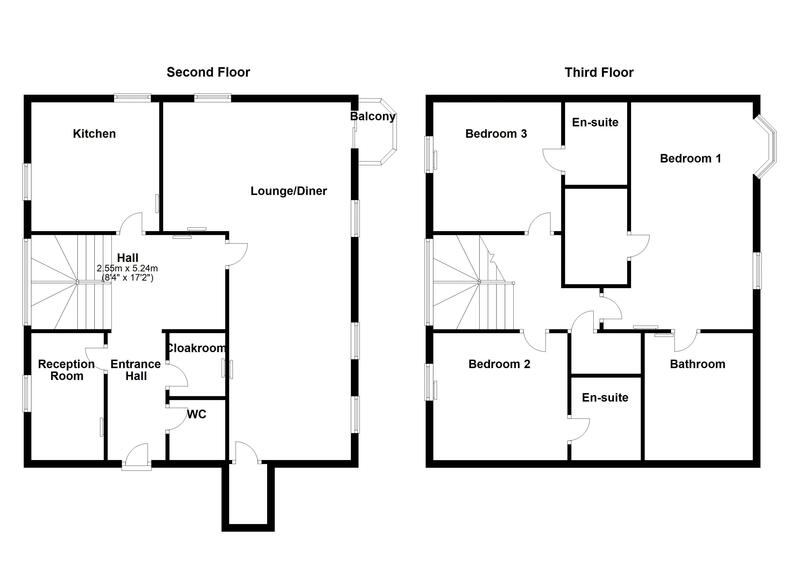 Entrance hall with doors to WC, cloakroom, reception room, window to rear, with fitted carpet open onto reception hall. 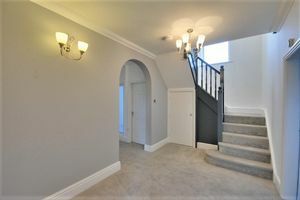 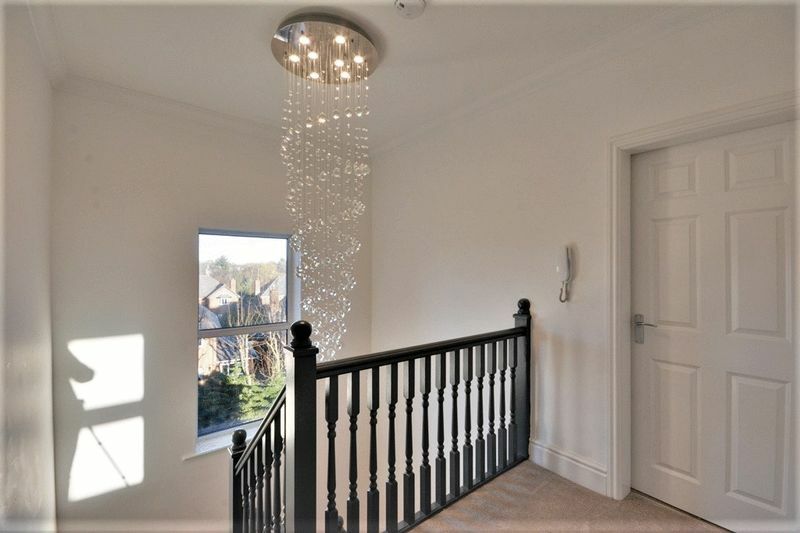 Fitted carpet, radiator to side, wall lighting, under stair storage and doors to kitchen and lounge/diner. 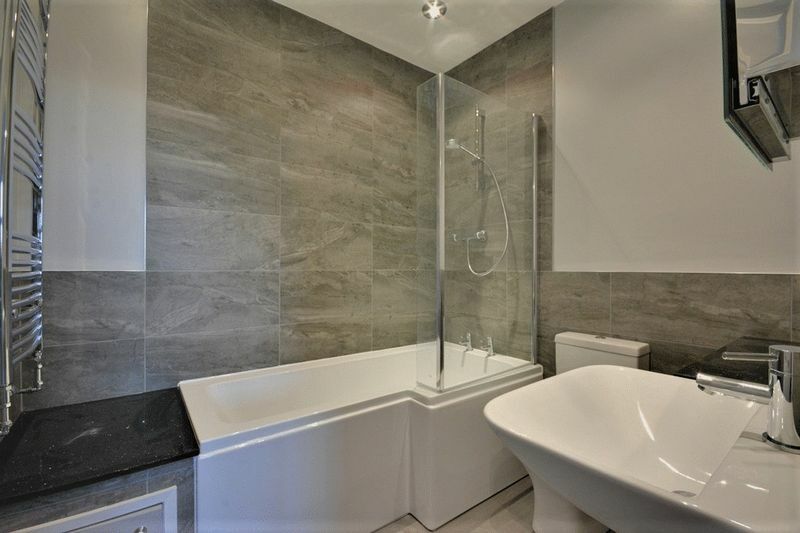 Large downstairs WC with tiled walls, heated towel rail and two piece suite comprising WC and wash hand basin. Spacious cloakroom with fitted carpet, shelving and radiator. 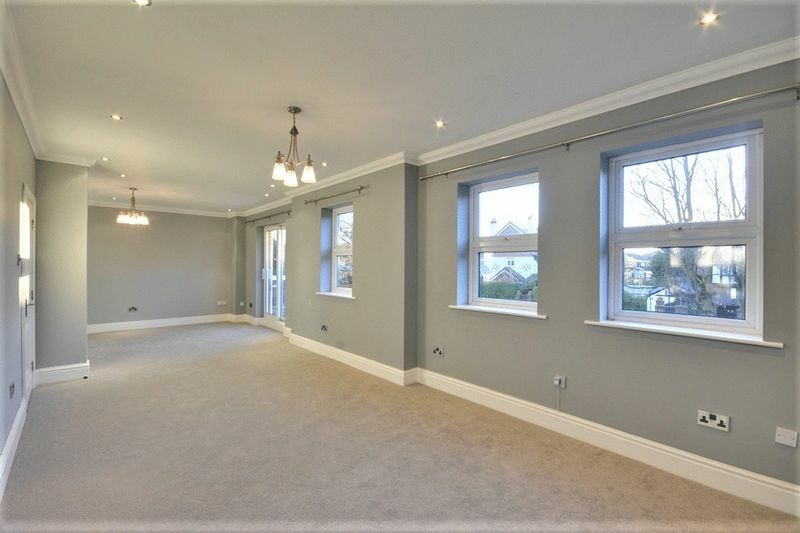 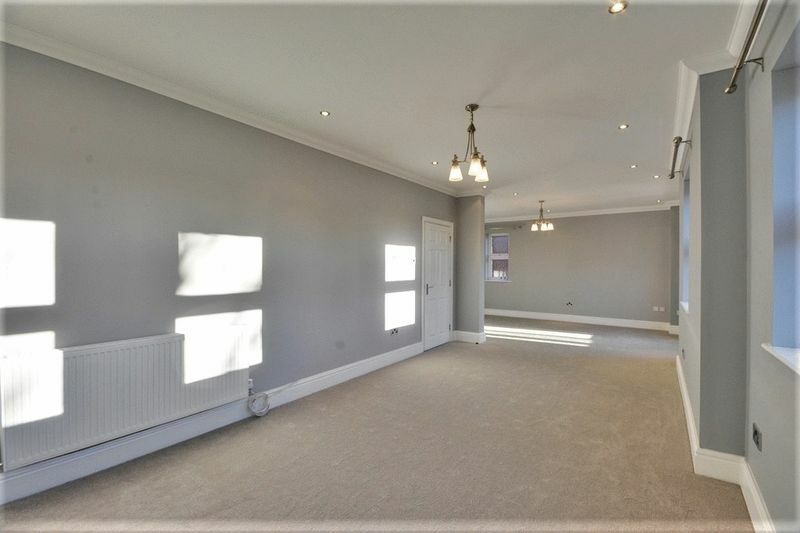 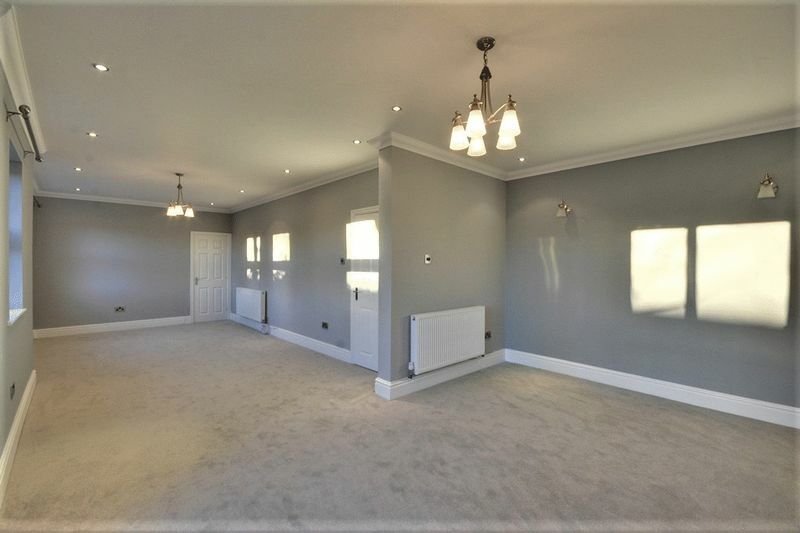 Reception room perfect for use as an office, dining room or sitting room, with fitted carpet, radiator, windows to front and rear. 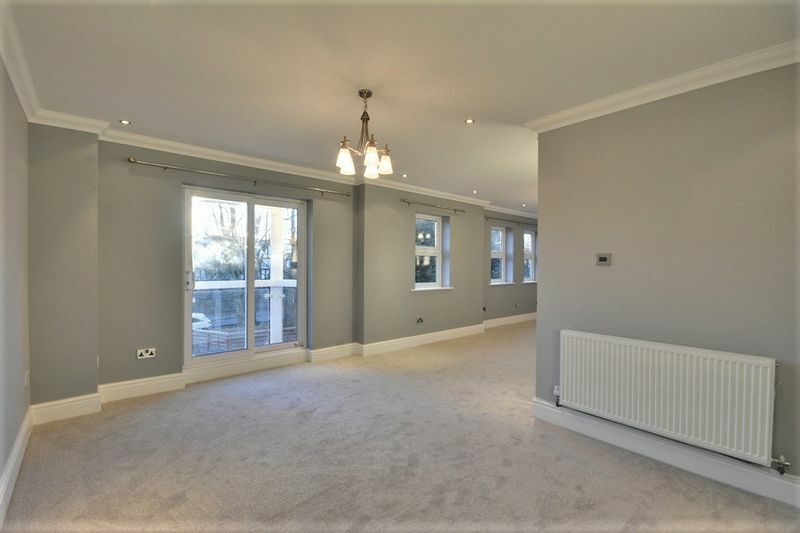 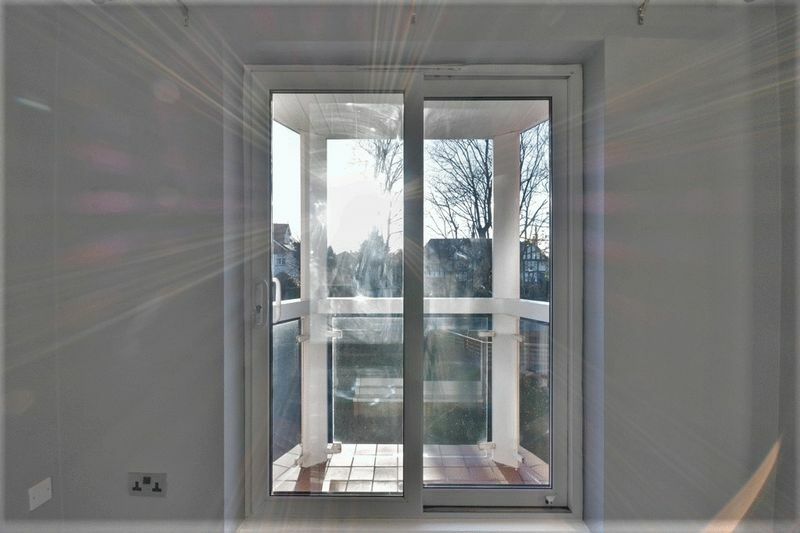 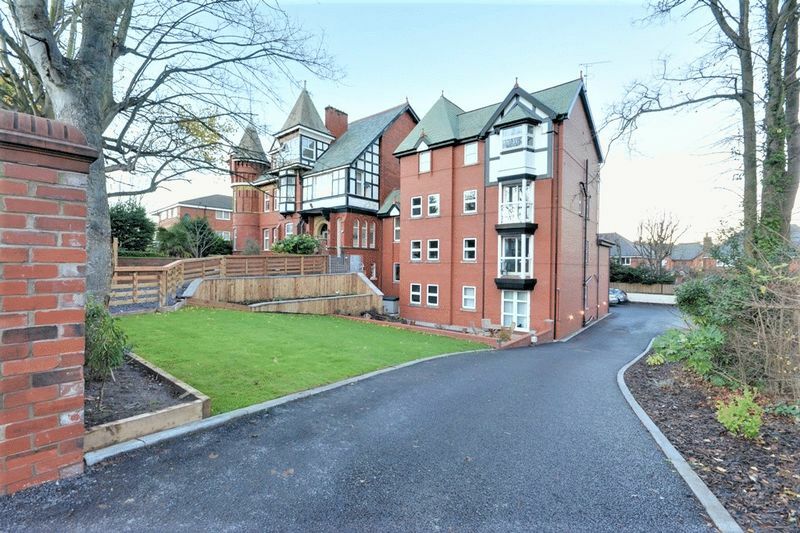 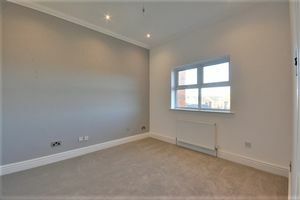 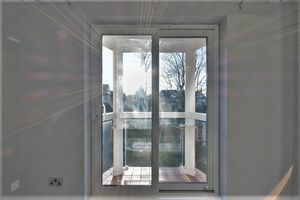 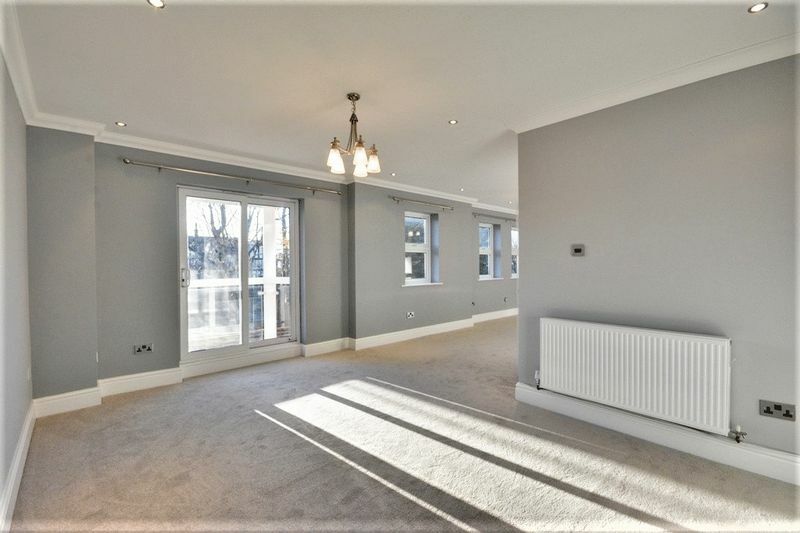 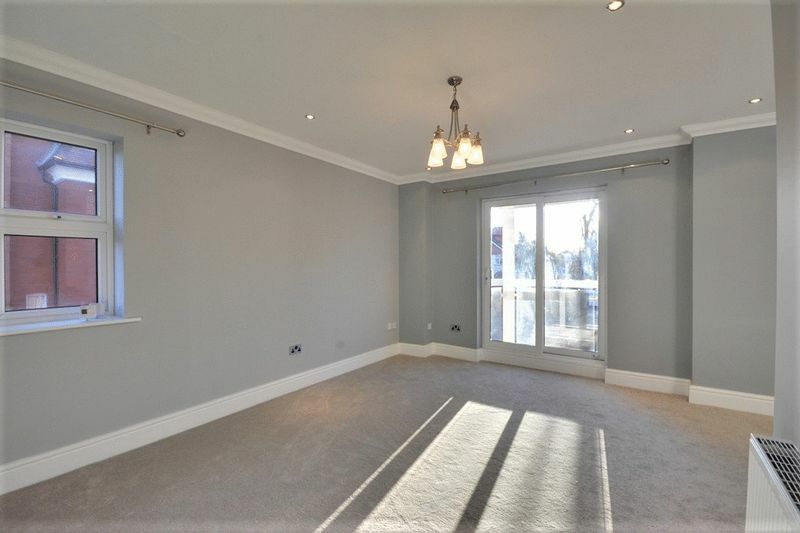 MEASURED TO FURTHEST POINTS: spacious lounge/diner with fitted carpet, windows to front and side, recessed spotlighting to ceiling, radiators to rear and side, TV point and sliding doors onto private south facing balcony. Door to storage room. 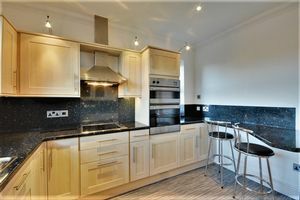 Modern kitchen with windows to rear and side, recessed spotlighting to ceiling, radiator to front and kfitted itchen with matching range of base and eye level units and complimentary work surfaces and matching breakfast bar, with integrated mixer sink, double oven, four ring electric hob, extractor hood, fridge, freezer, dishwasher and washing machine. 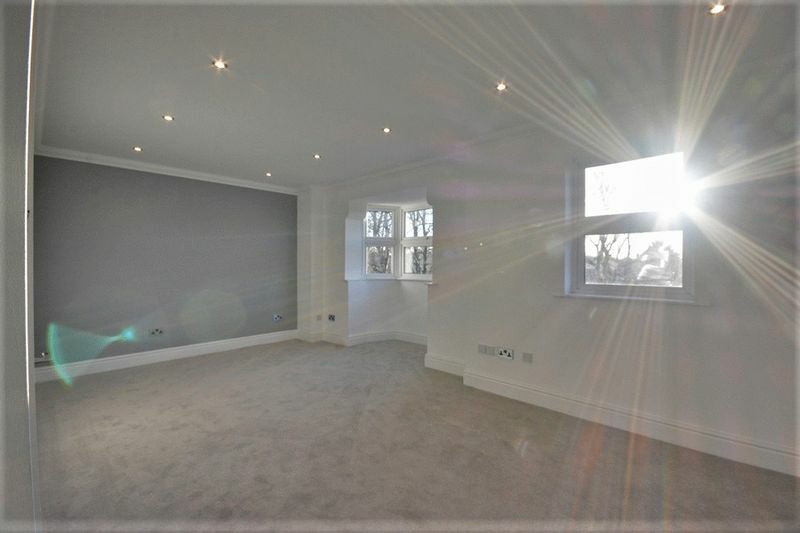 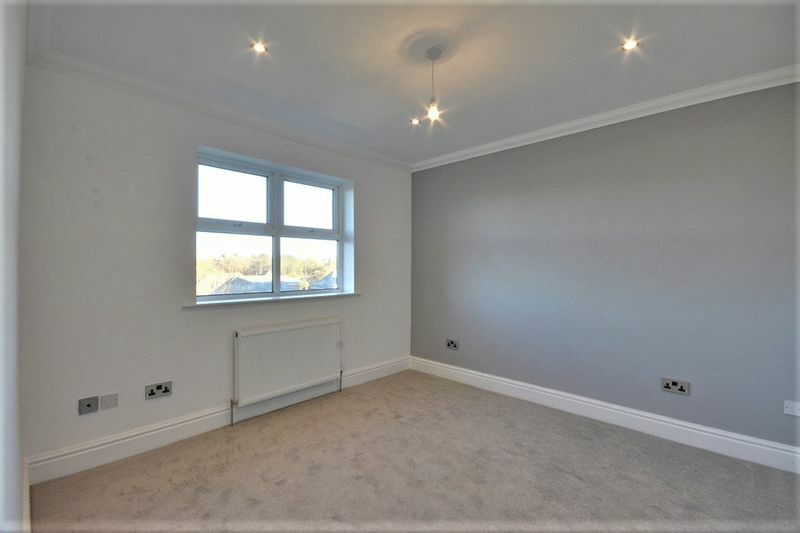 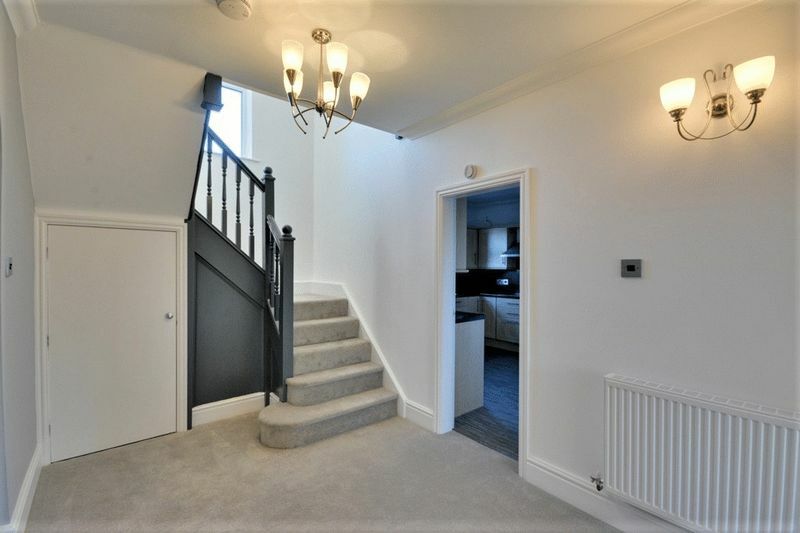 Master bedroom with fitted carpet, recessed spotlighting to ceiling, radiator, window to front, baywindow to front, doors to en suite bathroom and walk in wardrobe. 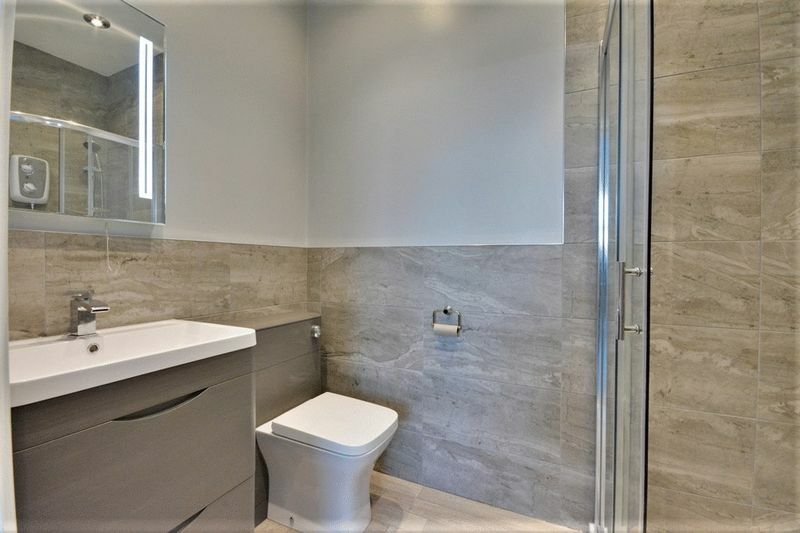 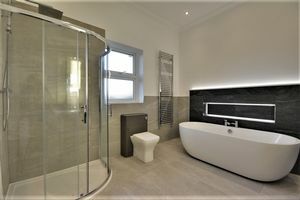 En suite bathroom with tiled flooring, partially tiled walls, radiator, two heated towel rails, window to front, 5 piece suite comprising bath, corner shower, WC and his and hers wash hand basins with mirrored wall units above and lighting. 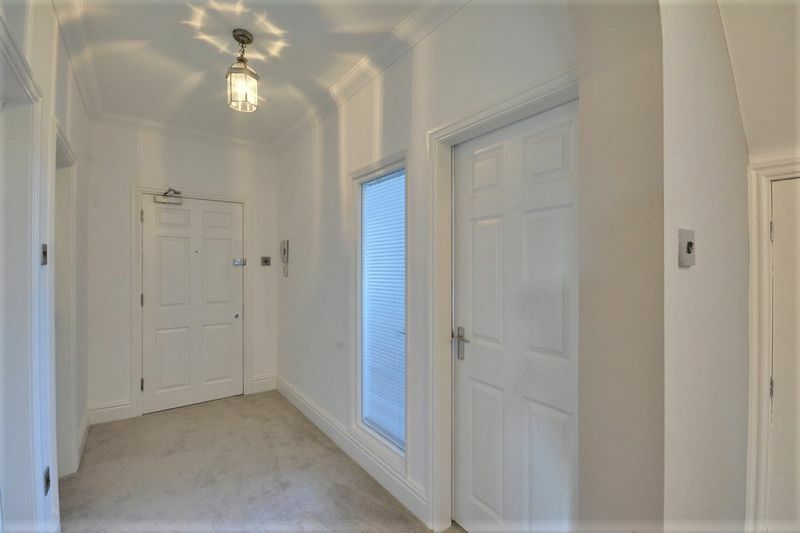 Walk in wardrobe with fitted carpet. 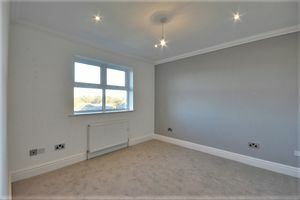 Double bedroom with fitted carpet, radiator to rear, window to rear, recessed spotlighting to ceiling, door to en suite. 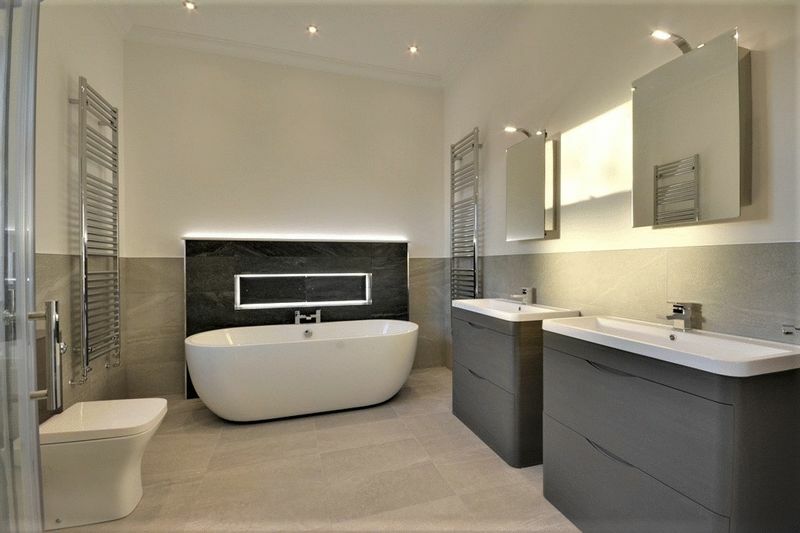 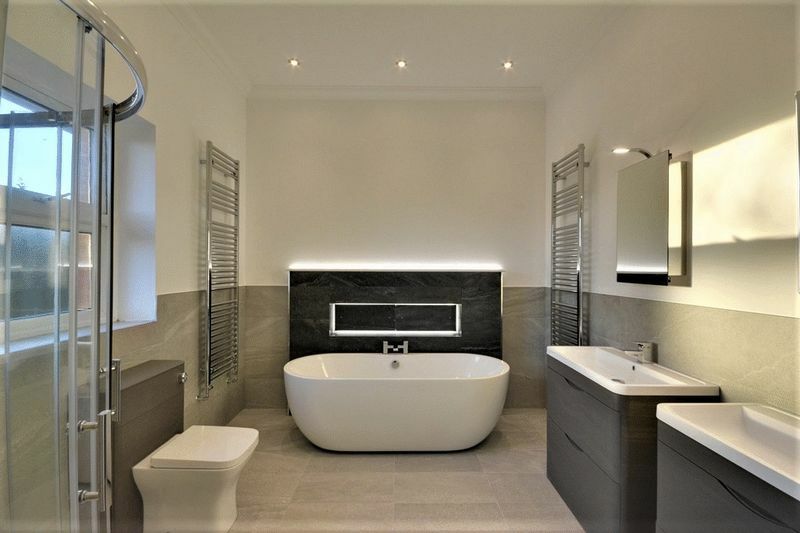 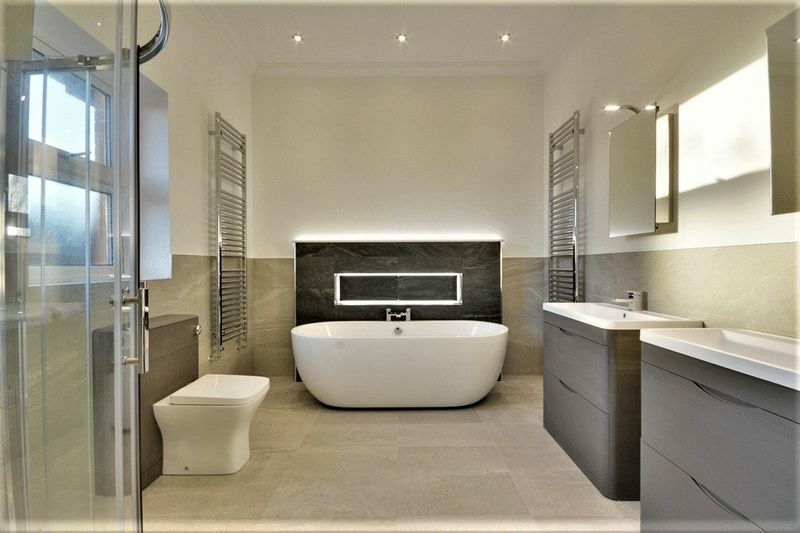 En suite bathroom with tiled walls and flooring, heated towel rail, recessed spotlighting to ceiling, three piece suite comprising bath with shower fitting, WC and wash hand basin. 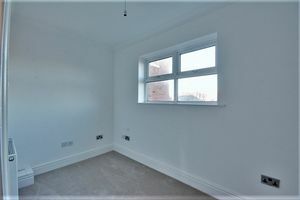 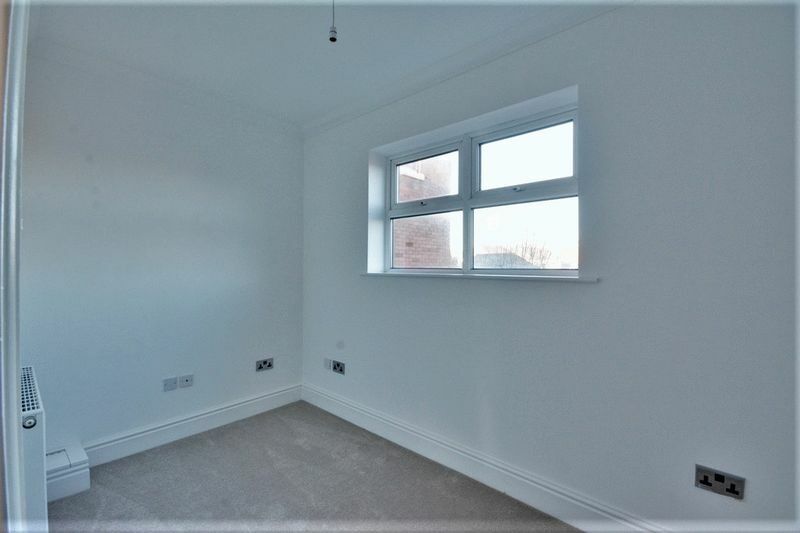 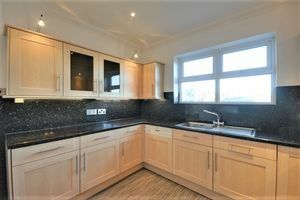 Double bedroom with fitted carpet, window to rear, radiator to rear, recessed spotlighting to ceiling, door to en suite. 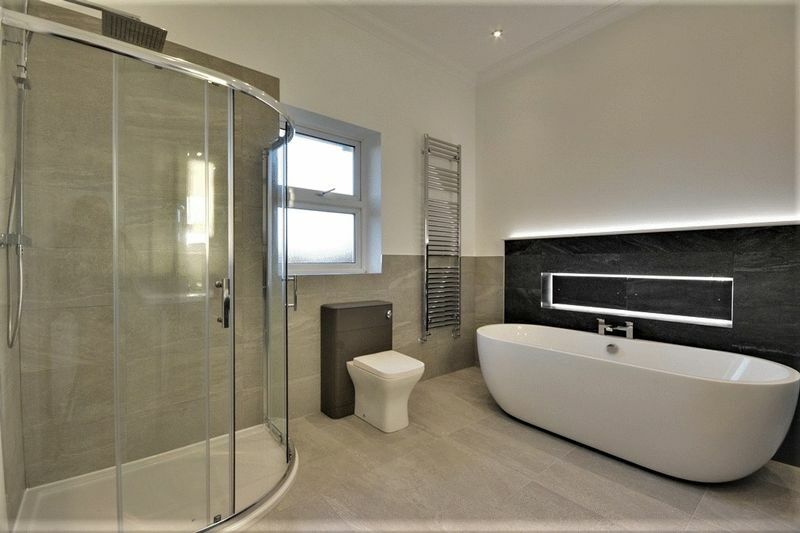 En suite shower room with tiled flooring, partially tiled walls, heated towel rail, three piece suite comprising of shower, WC and wash hand basin with integrated storage and wall mounted mirrored and lit unit. 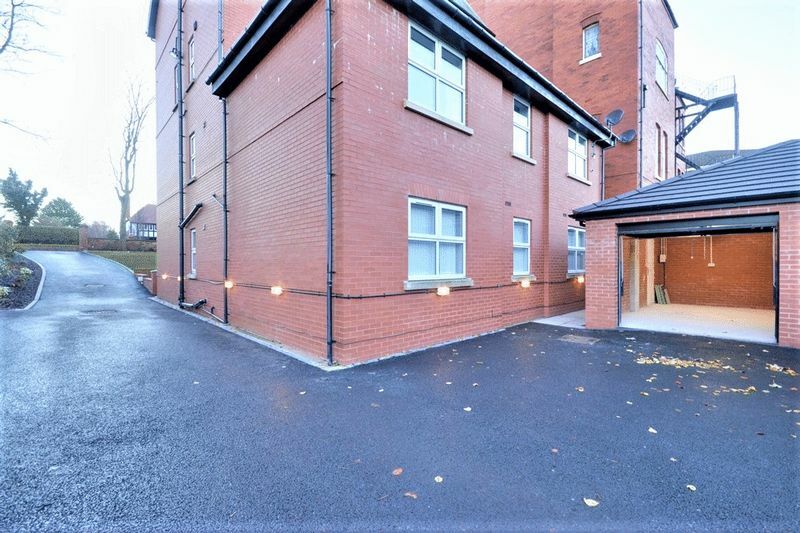 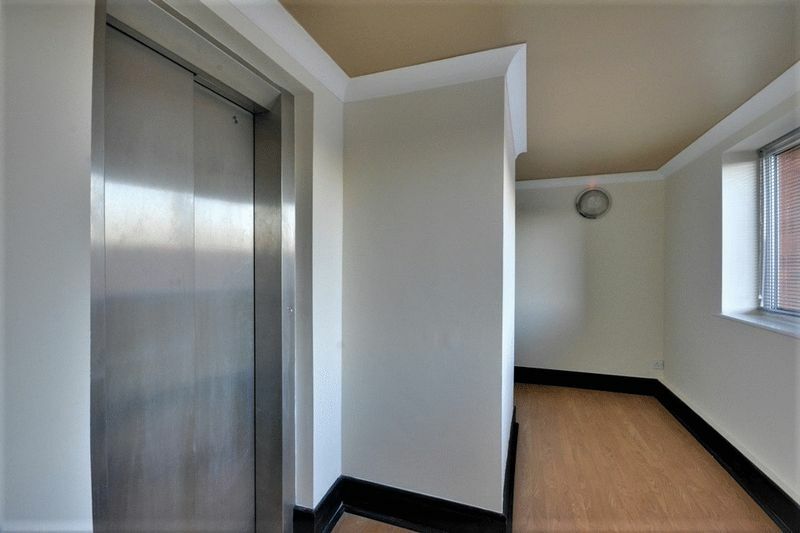 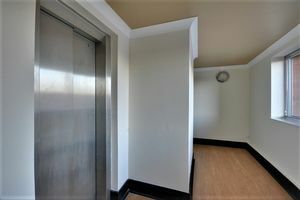 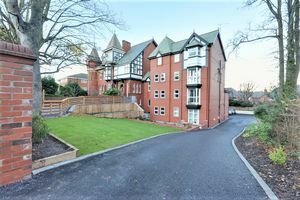 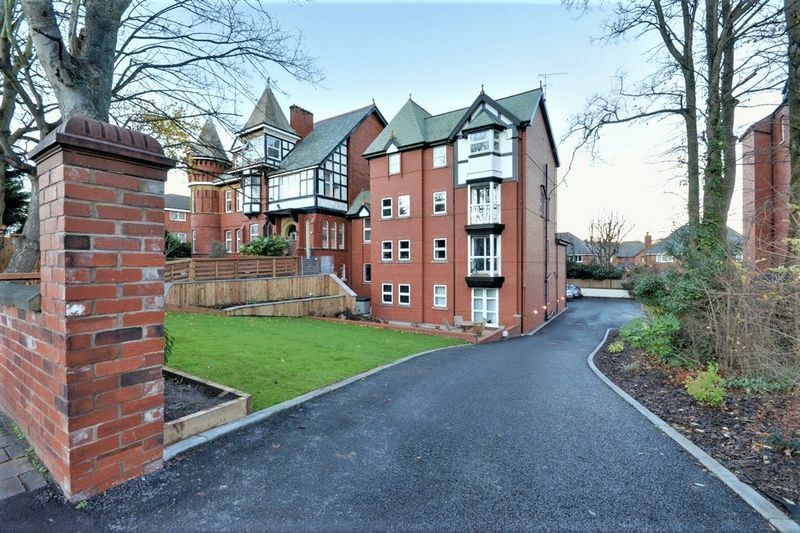 Entrances to front and rear with secure telephone entry system, lift and stair access to all floors, well maintained communal areas. 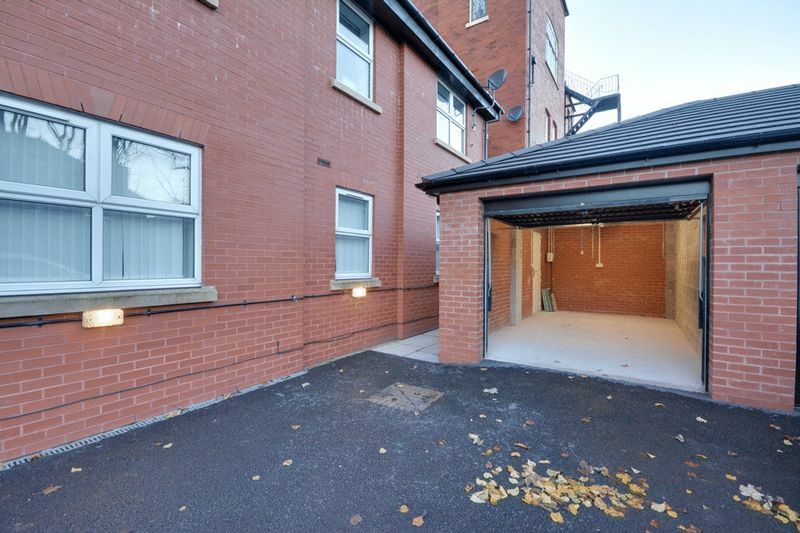 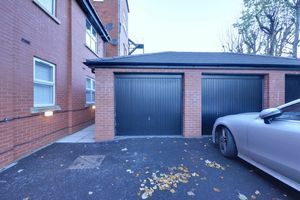 Allocated garage with electric points, electric fob activated up and over door, additional door to side, plus allocated off road parking space, in front of garage. 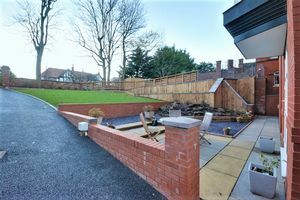 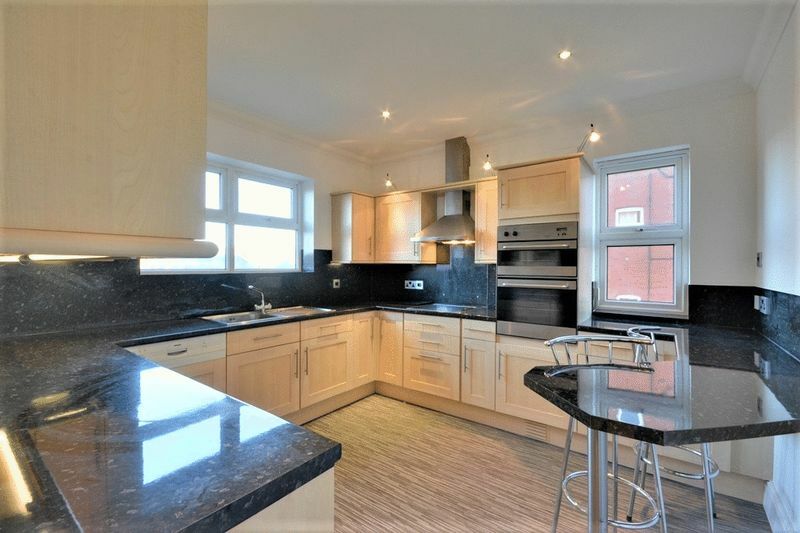 Well maintained, landscaped communal gardens to front with lawn and decorative borders, tarmac driveway to rear of the property accessing garages, off road parking space and visitor parking. 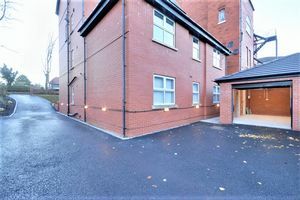 Pedestrian path to front entrance of the property. 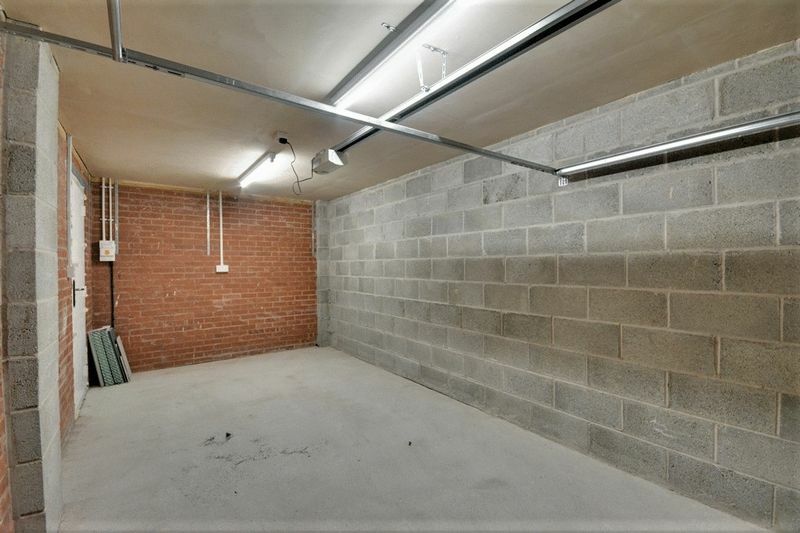 Loft access via drop down ladder, lit and boarded out for storage.